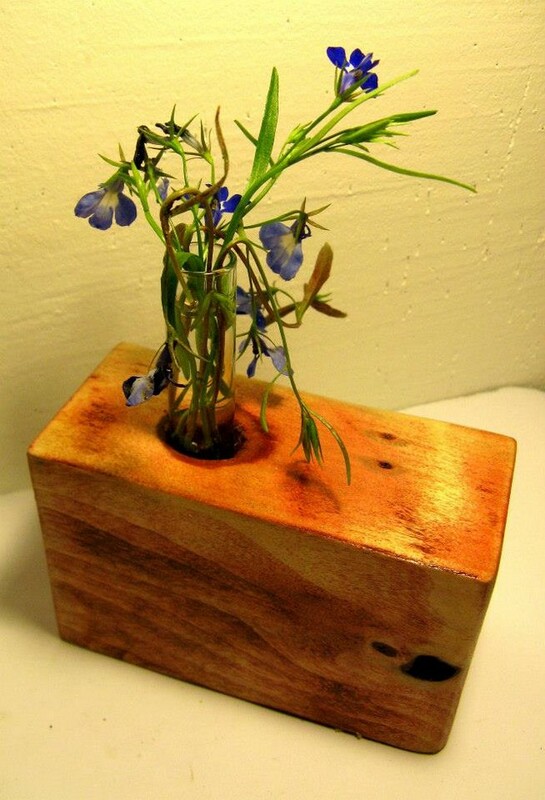 Making some decent wooden pallet recycled furniture items is my hobby. I just make sure to make the best use of my free time working on several wood pallet projects in my domestic workshop that I have made with all love and care equipping it with all modern and hi fi tools that are needed in the process. 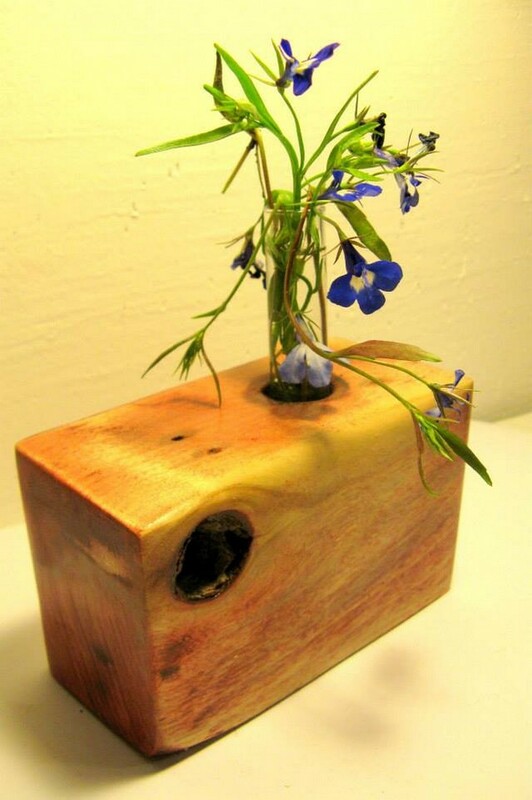 Other than making wooden furniture items, there is another use of the wood pallet planks, they can be used in making several wood pallet centerpiece crafts. 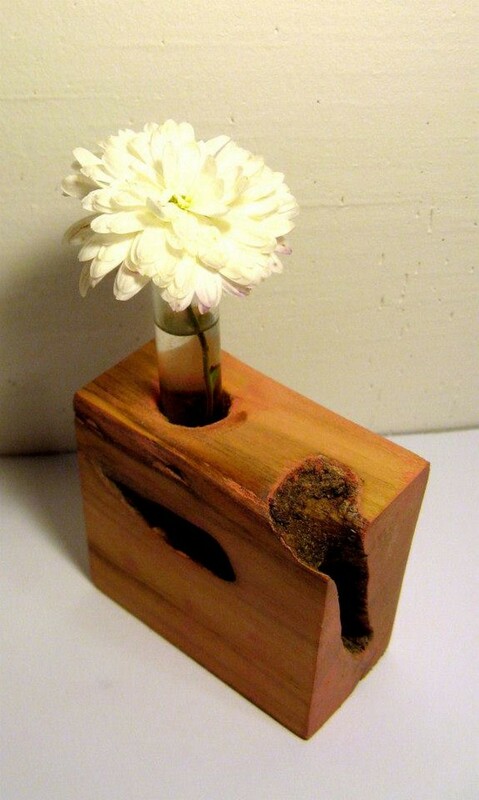 This is another smart use of the wood pallet. 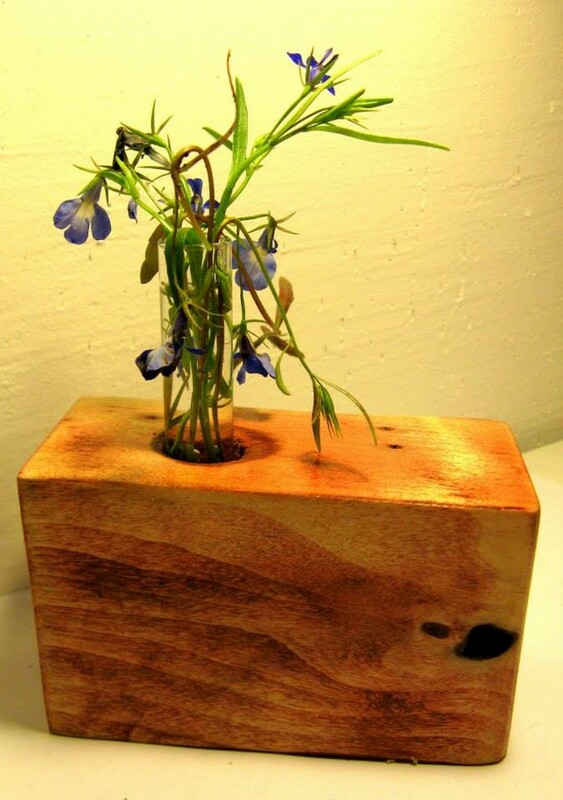 Here we have got a smart pallet wood centerpiece craft that you guys should consider. 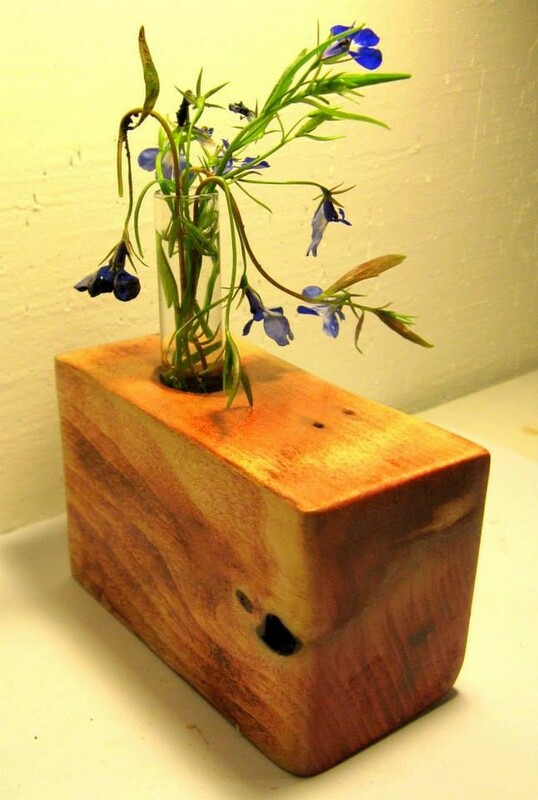 This centerpiece made on a wooden bar is the smart creation of the wood pallet. We can clearly see that the box like object in not made using some straight pallet wood planks but actually this is a bar of wood that is attached to the corners of the shipping pallets. We can see the quality of the wood, this seems to be made not very long ago. The rusticity of the wood is evident of its freshness. While the cuts and scars show the way it has been used. This is meant to show you guys that in how many creative ways we can use the each portion of the shipping pallets in making different wood pallet creations. 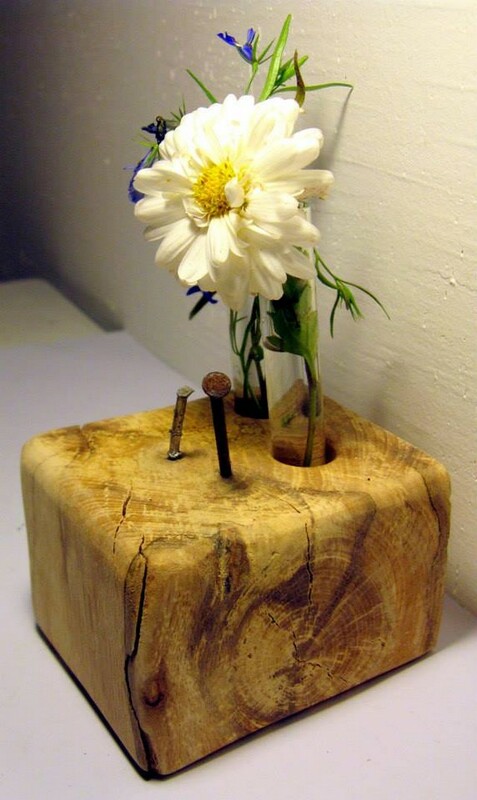 Though it hasn’t got any proper shape of any proper work done on it, still it has been ideally used in making this rustic wooden pallet centerpiece. 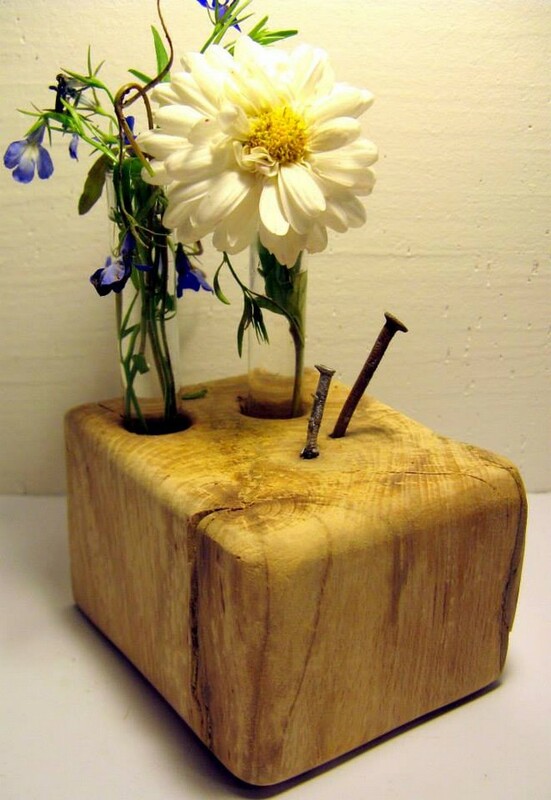 We just used some most neglected and apparently useless items in making this smart centre piece. Usually these wooden bars are just trashed away because we normally use just the straight shipping pallet wood planks in making different furniture items. But here it has played the best part. What we actually did here, we just dug up a hole inside the wooden bar or slab, and put inside a glass flask that we have used as a glass vase. The vase is filled with green leaves for the foliage, while the small purple flowers just look pretty superb in this cute glass vase. 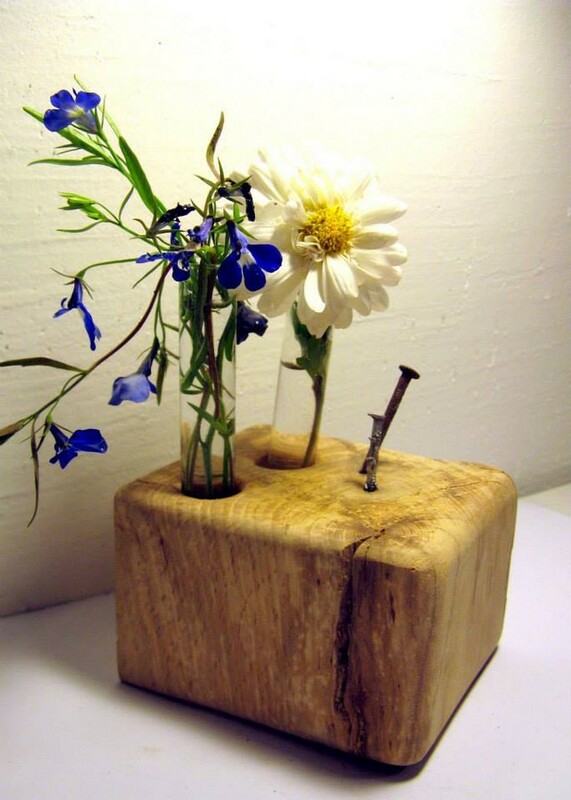 Making this wooden centre piece isn’t a new idea at all. We have already made a number of decoration and centre pieces using the wood pallet that were so damn economical and didn’t cost us much. This is the quality of the wood pallet that it relieves us from all the fears and concerns of finances. 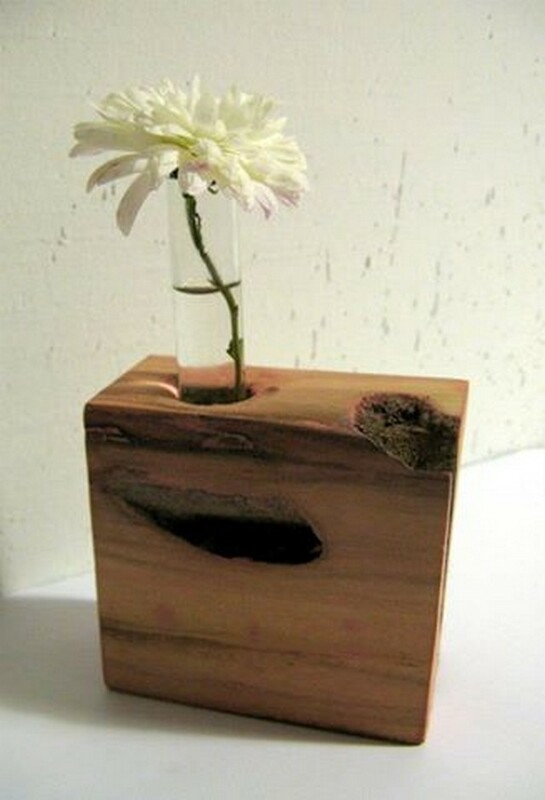 In all of these multiple centre pieces we have followed the same pattern, we used multiple wooden slabs or bars used in whole pallet, we dug a hole and inserted inside a glass flask shaped vase that was filled in with our favorite cut flowers. 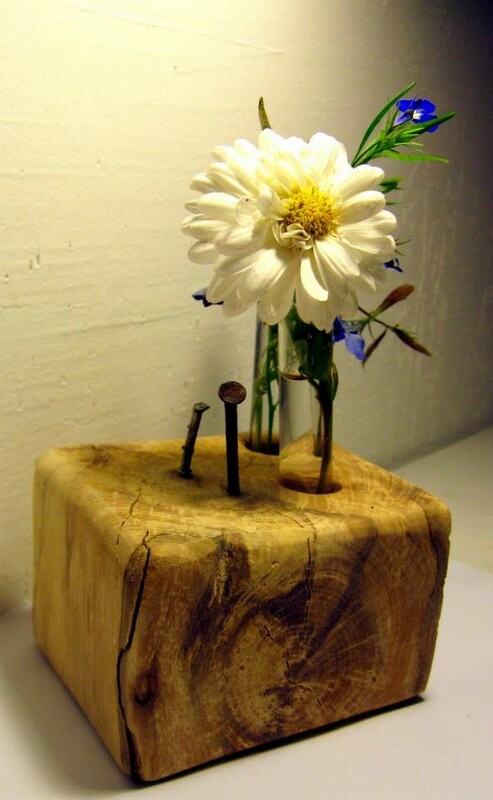 Some of the broken and deteriorated wooden bars are used here, but despite of all the rusticity and dingy pattern they still turned to be a perfect wooden centre piece that can aptly be used inside the room or anywhere in the house.